Gluten Free Chocolate Cupcakes are a breeze to make. This super easy, super moist and super tasty gluten free chocolate cake mix recipe is ideal for cupcakes, birthday cakes or for whenever the mood for decadence strikes! Made in one bowl, it’s the easiest recipe you’ll ever make and a must have staple for your recipe collection. The cupcakes themselves are super moist and light – but more importantly…delicious! 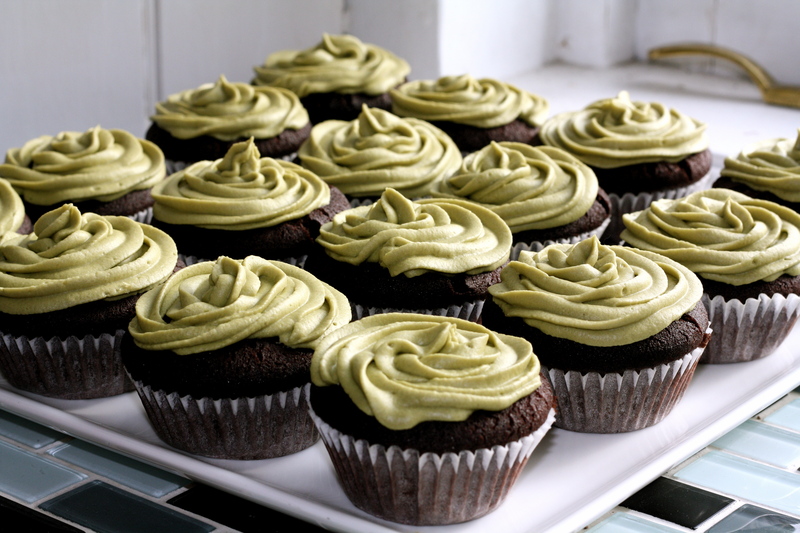 I’ve made a lovely green tea icing which is amazing with dark chocolate. Of course, you can use any type of icing you’d like. Just go for it! I’ve included my icing recipe below. In a large bowl, mix all the following ingredients together, EXCEPT the boiling water. We will add this at the end. Once all the ingredients are mixed well and there are no lumps, slowly add 1 cup of boiling hot water. 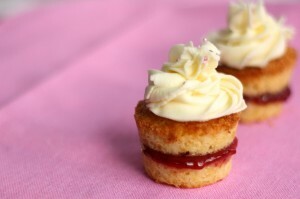 Incorporate well and divide batter into lined cupcake pans or 2 greased and lined round layer cake pans. Spoon batter into cupcake liners or pan until 3/4 full. Bake for about 25 – 30 minutes until cooked (cupcakes) and between 35 – 40 minutes for a larger cake pan. Insert a toothpick into the centre. If it comes out clean, they are done. Allow to cool on a cookie rack then ice with your favourite icing.